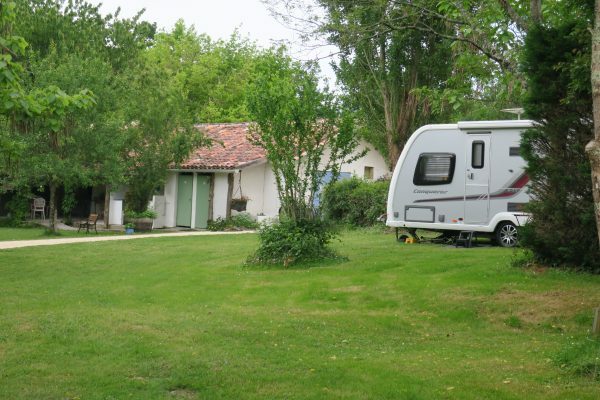 Campsite & Gites. Lose yourself in a little oasis of French tranquility. Campsite opens 1st May for our 2019 season with our new luxury toilet block. Gites open all year round. The Gers sits at the heart of the ancient province of Gascony. It is impossible to pin down exactly what makes it quite so special; its glorious landscape, proud history, preserved architecture, rich culture or amazing gastronomy? Maybe it is the kindness and warmth of locals and the slower pace of life. Whatever it is, many people come back over and over again. 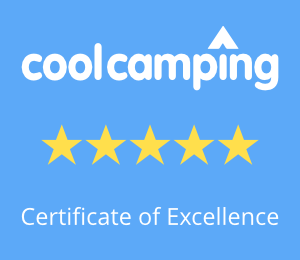 Our beautiful, quiet, natural campsite has lovely, large, private pitches for tents, motorhomes, campervans and touring caravans. Almost all of our pitches have electric hook-up and enjoy views of the rolling landscape and the church spire of the pretty village of Castelnau d’Auzan, just a few minutes walk away. You will certainly know you are in France! We want all our campers to have a fabulous break at Le Poteau with memories to treasure. We are onsite owners and really enjoy greeting our guests personally. Our social evenings are a great way to get to know everyone; whether meeting for apero, a boules competition or a table d’hote. Many of our guests particularly enjoy the warm welcome they experience in our local village. Our local restaurants and shops are run by lovely, friendly people. 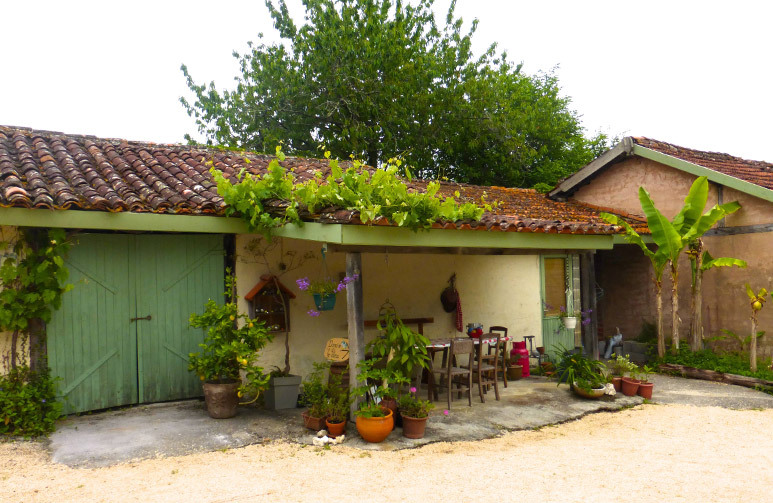 “We stayed 6 days in one of the immaculate gites. 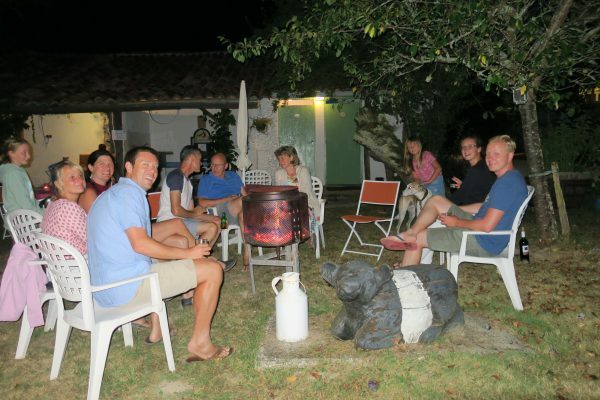 The quality of the gites is simply stunning; comfortable,cosy and well equipped and the welcome afforded by our host and hostess was second to none. 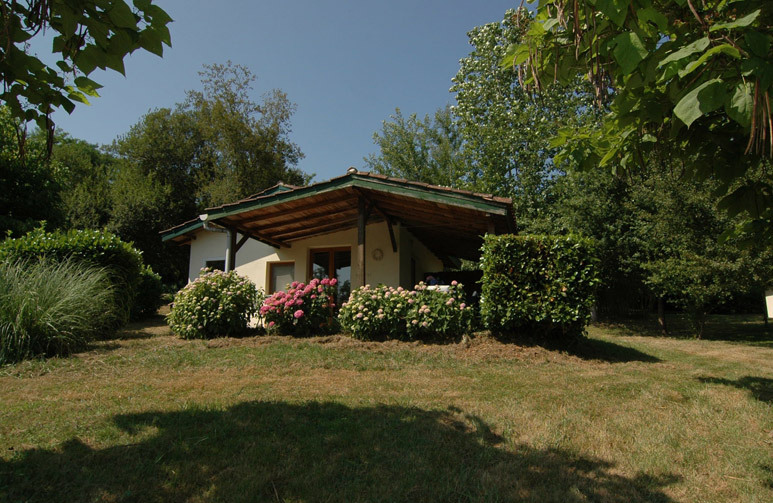 Our gites are in a secluded spot in a large meadow with beautiful views. They sit perched on a grassy hilltop with stunning views of the fabulous Gers countryside. Each Gite has plenty of private space. Above the treeline you’ll see the old church spire of Castelnau D’Auzan. 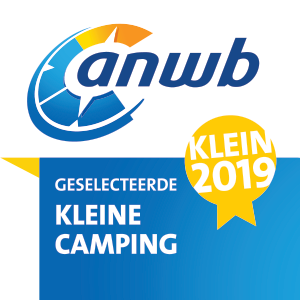 They are a 5 minute walk from the campsite so in the summer season our guests can choose to participate in campsite life (apero, meals, competitions etc) or can choose to chill out in complete peace and quiet, if that is what appeals. We are in a great location to explore the Heart of Gascony. There are three Plus Beau Villages nearby and many other pretty, fascinating bastides. The Gers is such a friendly, welcoming area that it is worth going off the beaten track to find small vignerons and quirky restaurants and cafes. There are gems everywhere.